I know, drop fade haircut sounds like just another term that was recently dreamt up by some hair-brained marketing teams. 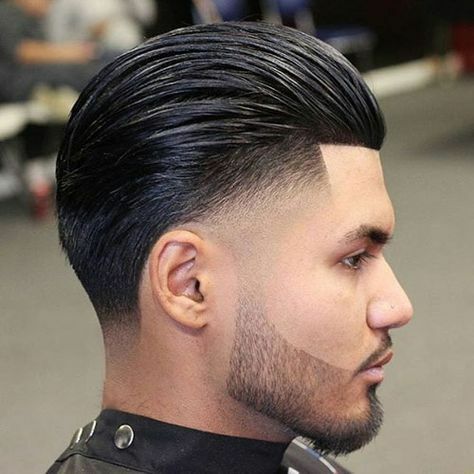 However, trust me, the drop fade haircut is a 100% legit and increasingly famous hair cut among men all around the world. Another interesting fact about this haircut is the fact it can work with all hair types, can be amalgamated with other hair styles, and it is the kind of dramatic, precise finish that will make you look not only styled, but also tailored. Perhaps for that same reason is why you will see the hairstyle lots of times in different walks of life where peacocking and grooming are one and the same. Think about hip-hop, NBA, football, soccer, and even menswear blog sites. If you’re the kind who would love an A-list celebrity’s inspiration, Drake, footballer Aaron Ramsey, and Jamie Foxx are just three of the extensive list to try out the hairstyle: and from what they have proved, it will work great with anything from a boxed-in buzz cut to a classic, side-parted sweep back. 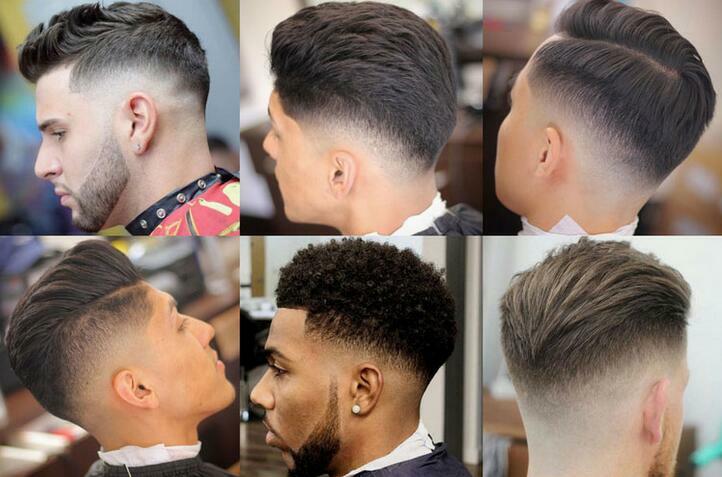 Better yet, you will not need a premier league barber or stylist in order to sport your own drop fade hairstyle. 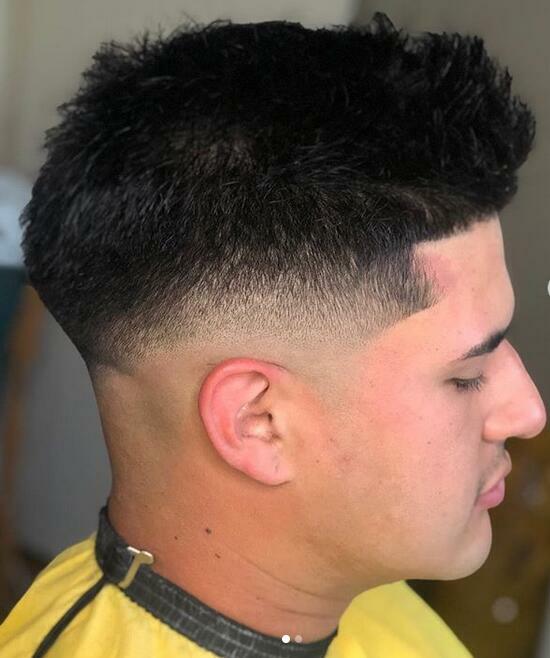 This type of haircut is very easy to attain and with just a little maintenance from time to time, you will keep your hair lock in place, which further provides a template that barbers can cut into. For those not acquainted to the drop fade haircut, I also got you covered. In the next section, I will explain what a drop fade is and then I’ll also help you figure out whether one would fit your or not. 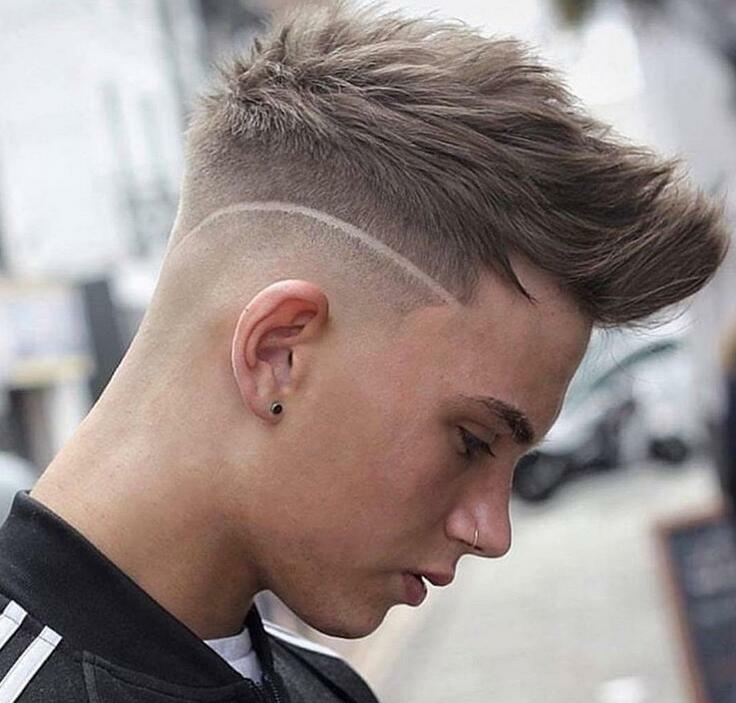 What is this Drop Fade Hairstyle that Everyone Has been Talking about? Different hairstyles can be coupled with other face shapes and, as expected, the drop fade is no exception. What is the different between a low skin/shadow fade from a drop fade? 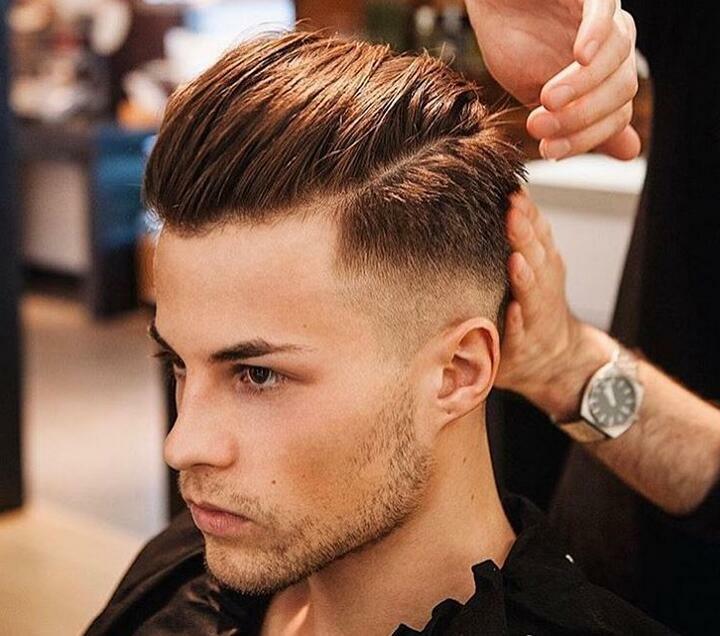 How to get a drop fade hairstyle? Given the shape of your head, the arc shape of this hair cut will provide a more natural and even look. If you feel like, feel free to ask your barber to drop the fade even a bit lower in the backside until it’s about to reach your neckline. Some consider this a smoother low drop fade. That said, I know this sounds too much like another fail-safe classic you have come across multiple times: the faded short sides and back. While that is true to some extent, there are some subtle differences between the two haircuts. When it comes to the faded short sides and back, the hair cut is generally symmetrical all the way around your head and will not drastically dip at any point around your head. This is unlike the drop fade hairstyle. 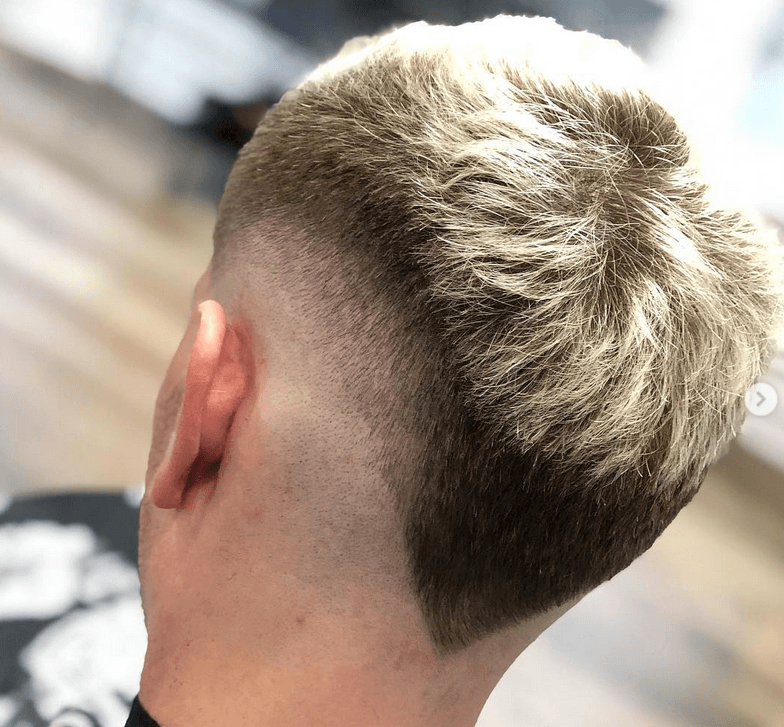 This further implies that even though you can expect something quite orderly and neat with the faded short side and back, a drop fade will generally pack a more noticeable gradient as it starts to taper to your headline. This will come in handy particularly when you decide it is time to pivot from the cookie cutter hair locks you have been sporting for the last five years. The drop fade hair cut can also work in tandem with a wide array of trending hairstyles. It can easily form the head base of a well-sculpted undercut or pompadour, add interest to your already messy French Crop and make any hair cut from an afro to a quaff look even more dramatic. As I promised, I’ll also help you figure out whether the hair cut would suit you. And honestly, unless you are carrying a North Korean passport or identity card, it will fit you. I even urge you to push the cut further and not settle for a basic issue drop fade. But according to my experience, the drop fade better suits square or round face shapes. This is mainly because the style will complement a boxier head shape as it graduates in length at the temple ridge. It is also a very great option for those who boast a flatter crown as the haircut will create a lock volume at the back of your head from above the occipital bone. I know it sounds very anatomical but it is also a simple science. 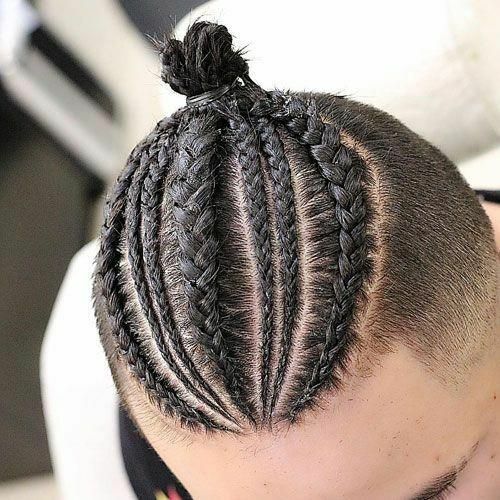 The hair locks at your head’s crown contrast with the shortest hair locks around the nape of your neck, which further forges an illusion of thicker locks on top of your head. 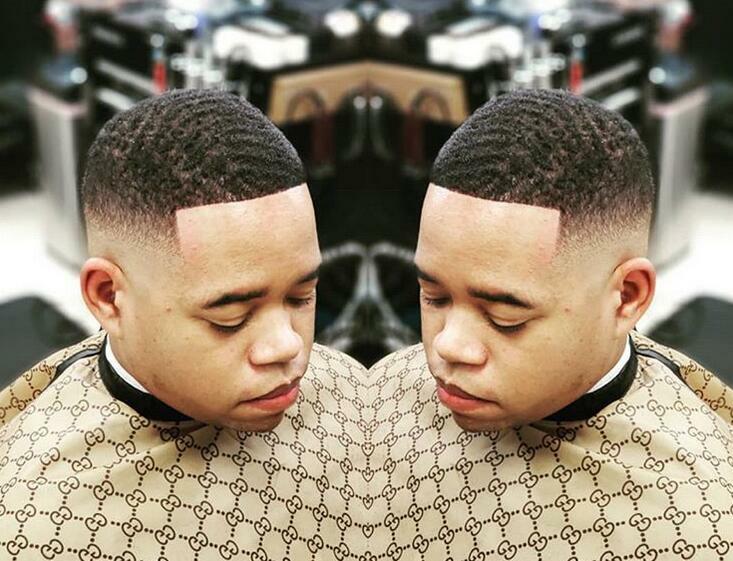 In my line of work, I have also seen that most individuals are having a hard time differentiating between the low skin/shadow fade and the drop fade haircut. So allow me to take this opportunity to explain to you the difference between the two. I will take you straight to the point under this section. 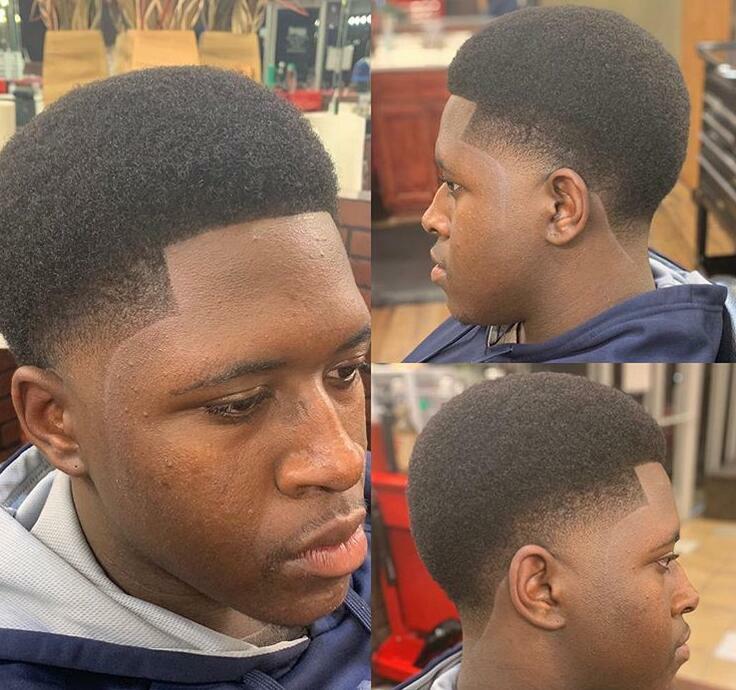 There are generally two types of fade haircuts. The first one is a low skin fade whereas the second one is a shadow fade. Everything else you come across is just a variation of the two types that some creative barber invented. The low skin/shadow fade type (also regarded to as a bald fade in different places around the world) is any fade that is starting with zero skin on the back and sides. This hairstyle goes on to blend into any hair length at the top of the head. 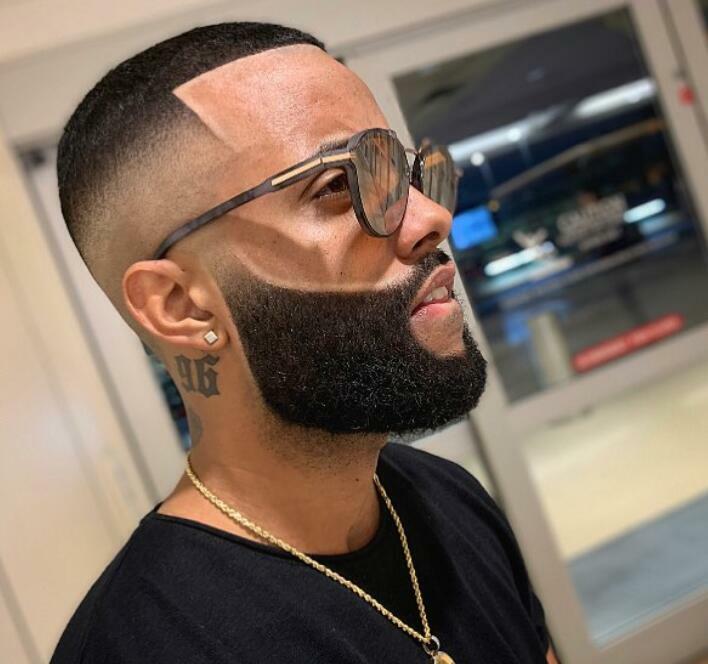 A low fade, on the other hand, is any fade that will start with a little length of hair on the sides, then just like the low skin fade go on to blend into any length at the top side. 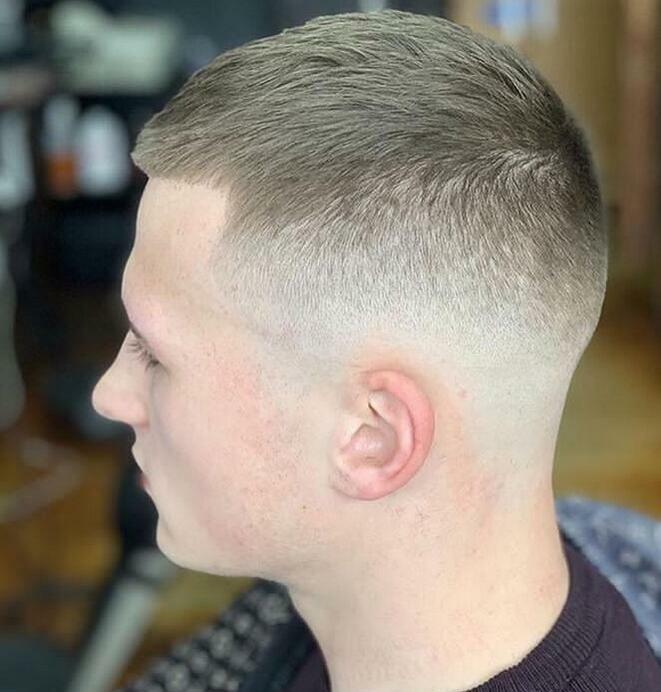 You will also come across terms such as a medium skin fade and a high skin fade, which as I said, are simply variations of the two main types of skin fades we have. 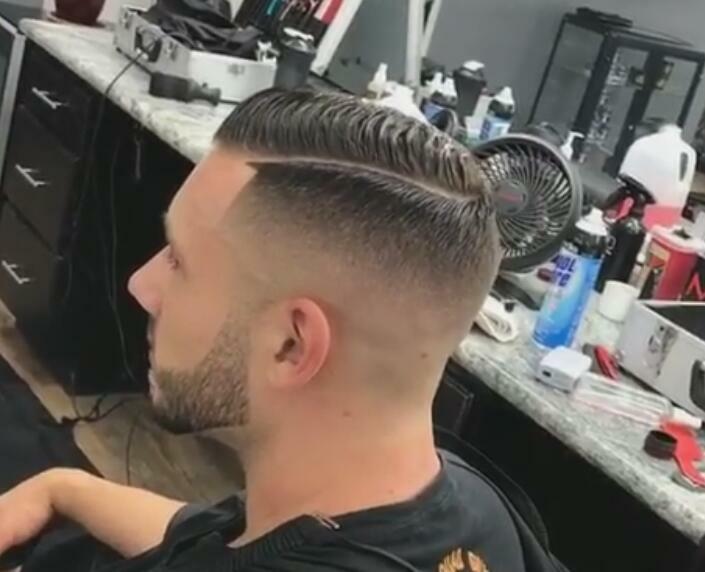 Usually, when a barber gives you a drop fade hairstyle, they will create a straight line all the way around your head then start fading from there. This is typical for all fades you come across. You will also notice in the pictures that I share with you later in this post that with the drop fade, the guys boast a nice arc that reaches just below the level where the barber started on the temples. After working as a barber for quite a long time, one of the biggest challenges I have come across is interpreting what a client is really asking for. Over time, however, I have become pretty good at reading between the description lines and comprehending what the client is actually asking for even when they are not clear or don’t understand the style themselves. 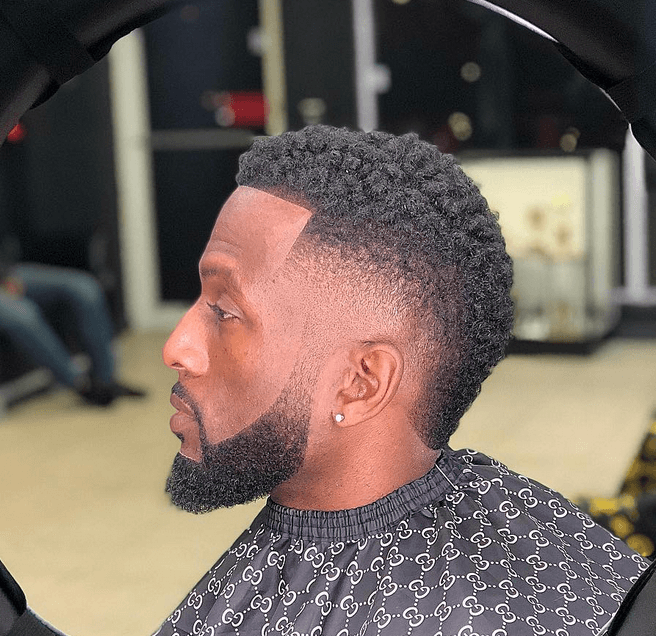 So to give your barber an easy time and also ensure you get the hair cut you are looking for when you visit the shop next time, allow me to share some tips that will help you get the drop fade hairstyle you’re looking for. Only ask for a certain clipper guard number when you’re sure. 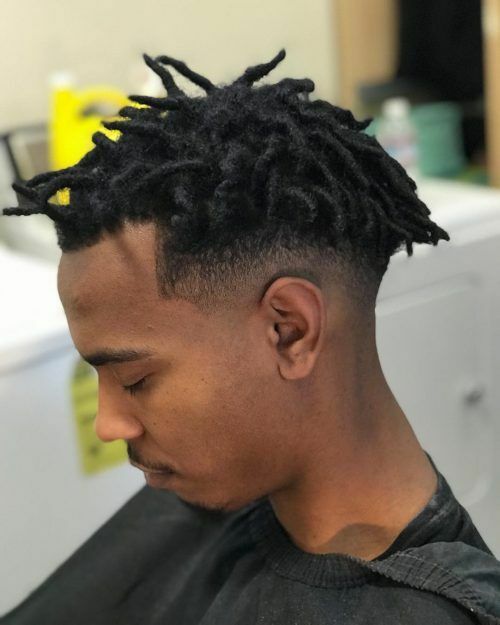 I have seen a lot of guys asking for a specific number fade, such as number one, then expect the fade to be like a chemical formula that you can use to describe the entire haircut. Note that the number of your drop fade is simply the number you would like your barber to start with at the bottom. So a number one fade, for instance, will start with the blade at the bottom of your locks and then continually get longer as you progress upwards. The barber can choose to use different blades on his way up, or in case he (the barber) is using an adjustable blade clipper, then he can gradually open it up to leave longer hair. To avoid confusion, just take a picture with you: but also be realistic. Sometimes your words will fail to explain what you really want and trust me, the last thing you want is to leave a barber shop sporting a cut you did not anticipate at all. A picture, on the other hand, will tell the barber all he needs to know in order to give you what you came for without any guesswork or room for misunderstanding. Here is the downside of bringing pictures, though. Do not come in with an image and expect to look just like will smith when in reality you look like Forest Whitaker. Seriously!! The cut will, without a doubt, improve your looks by a huge margin. But do not expect it to turn you into a different person. 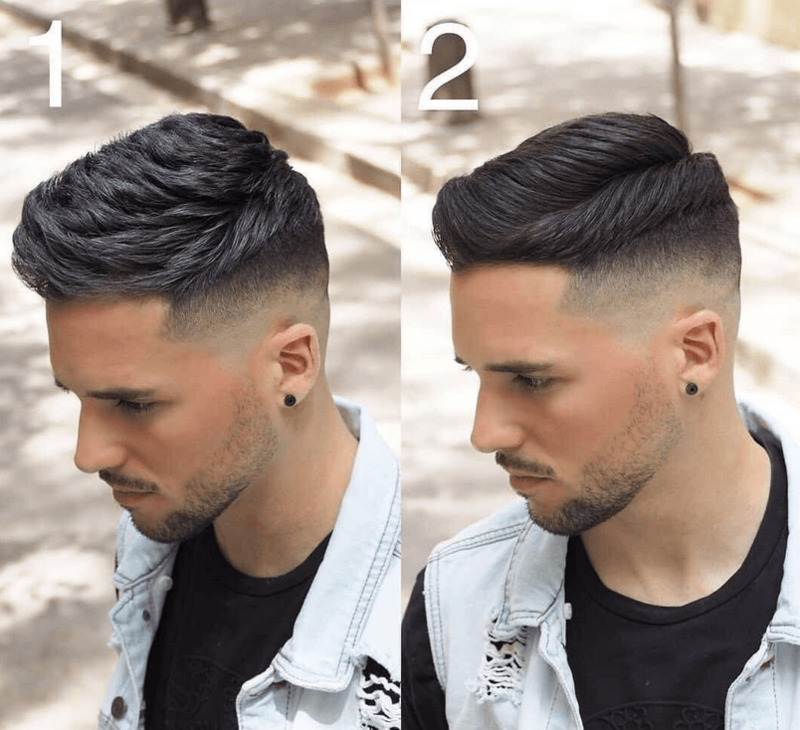 Now that you understand how to get be Drop Fade hair cut, here is an enumeration of 20+ Drop Fade haircuts you can sport today. I am in love with this look because it will undoubtedly stand out among a lot of people. It also displays that you are not afraid to get something other than a conventional hairstyle. This cut can also showcase your character. You can either go for the somewhat messy look or sport the nowadays Mohawk that can be work to professional events. As I mentioned before, the high fade is a variation of the drop fade that can spice up your hairstyle and undoubtedly take you to the next level. In this cut, the fade drops down past your hairline in order to create a strong, nice outline on the hairline making it look really sharp. This hairstyle is a low to medium drop fade type while keeping more weight on the head sides in order to create room for styling. The other cool thing about this cut is the clean fade with a messy top side style. 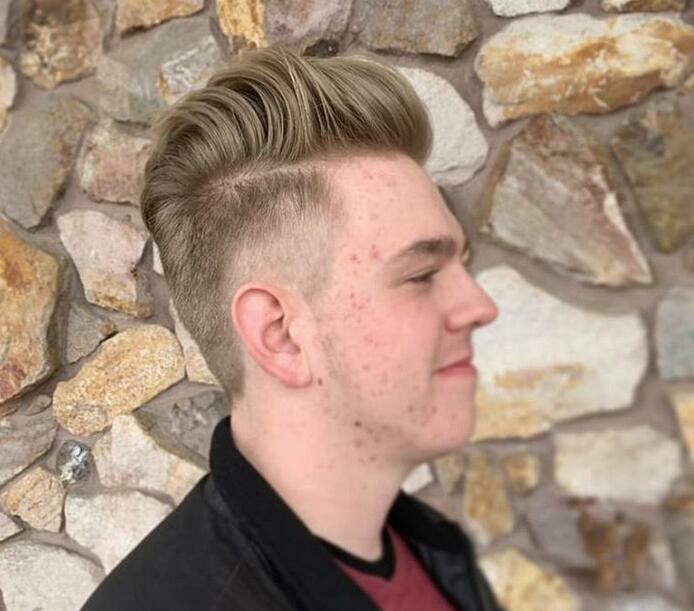 This hairstyle looks more like a shadow fade. It is also best for individuals who do not like their haircuts down to the skin and that is why it falls under the drop fade styles. 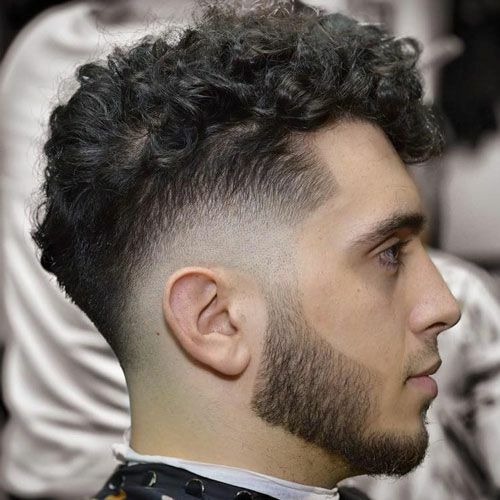 This hairstyle is a unique curly messy style that will give volume to your hair with the drop fade giving you the clean look. This look is a stylish medium that is mostly sported by teenagers. The teenager will get the cut he wants while also pleasing his parent with short and clean cut sides. 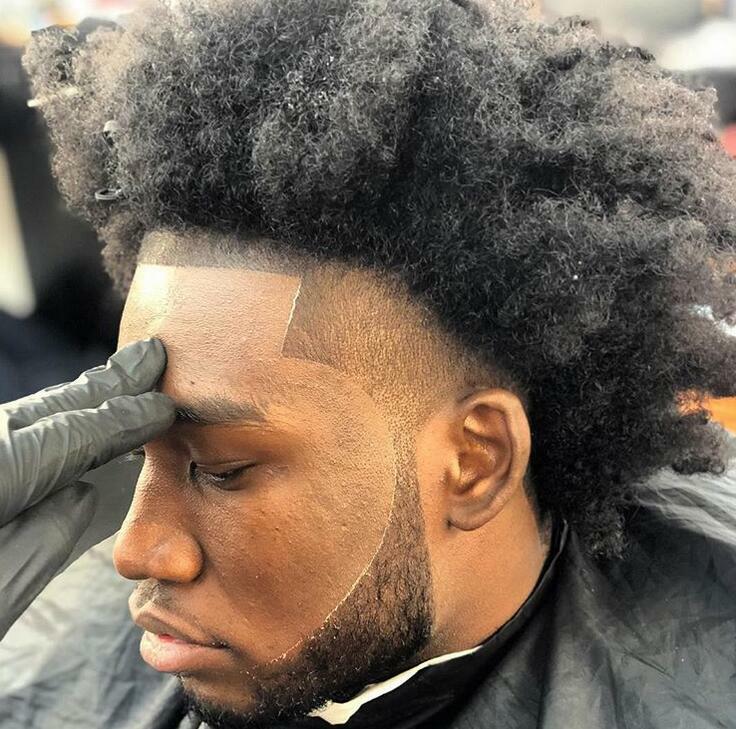 This afro blowout hairstyle with a drop fade will offer a more classy and clean look compared to the traditional Afro or the traditional Mohawk. 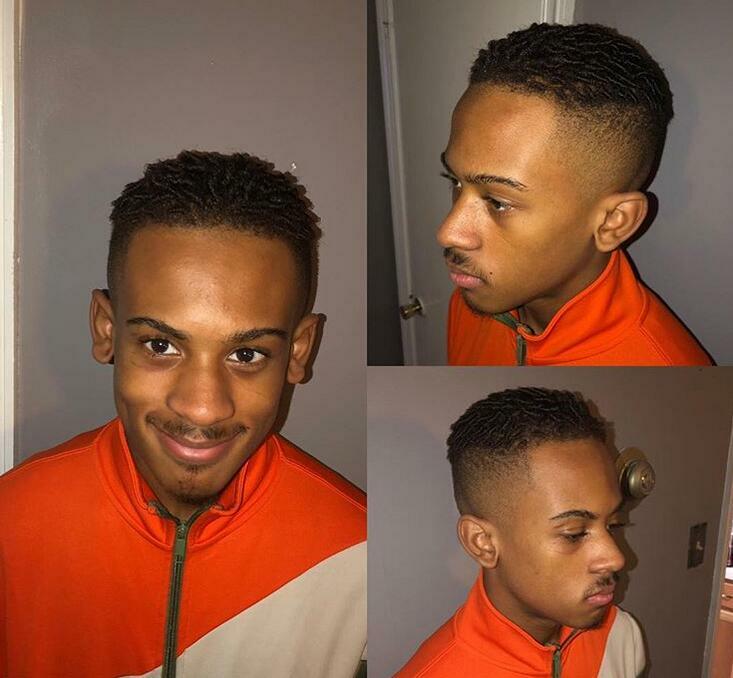 As you can see, this cut is the trendy, unique, and versatile haircut. You could also easily dress it up or dress it down as you wish. This is a gentleman hairstyle faded down to your skin with a hard part and nicely cleaned beard. It is ideal if you want to appear as a hipster. Low faded sides are sometimes best blended with your dreadlocks. Go for it and see how it turns out. A patterned drop fade hair cut looks best when it is accentuated with a clean back and sides. Let your hair’s texture do all the talking. 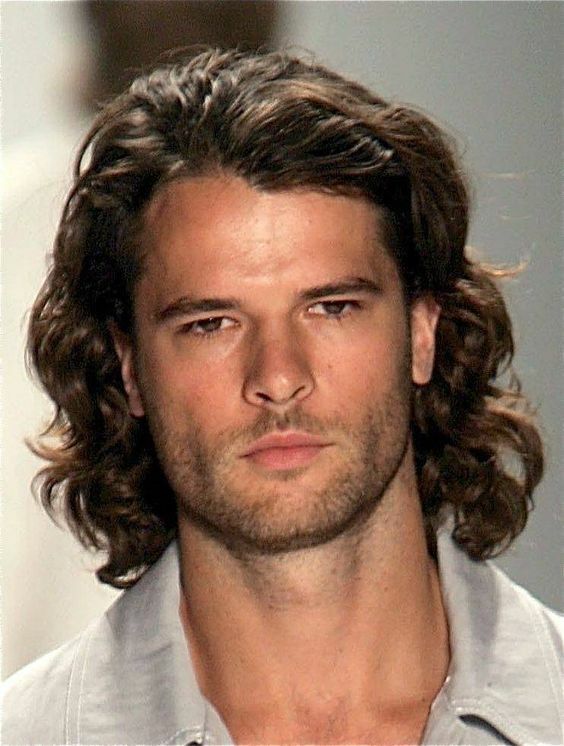 This style will perfectly bring out the ruggedness in your hair locks. Why not take some unnecessary weight off your voluminous hair locks by getting your head sides faded? For an edgier drop fade, feel free to opt for some cool shave patterns to go with the clean sides. The contrast will work classy from the front side to the back side. It’ll also help make this drop fade even more desirable. 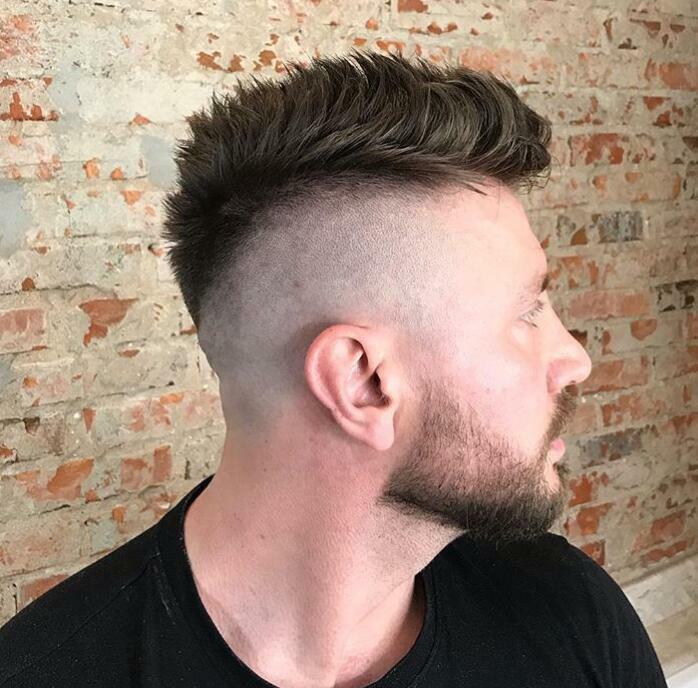 Disconnect your thick mane from your hipster like beards using this sharp drop fade. Put a twist on the classic drop fade cut for a way cleaner look. The cut can fade evenly from the temples then down to the nape. 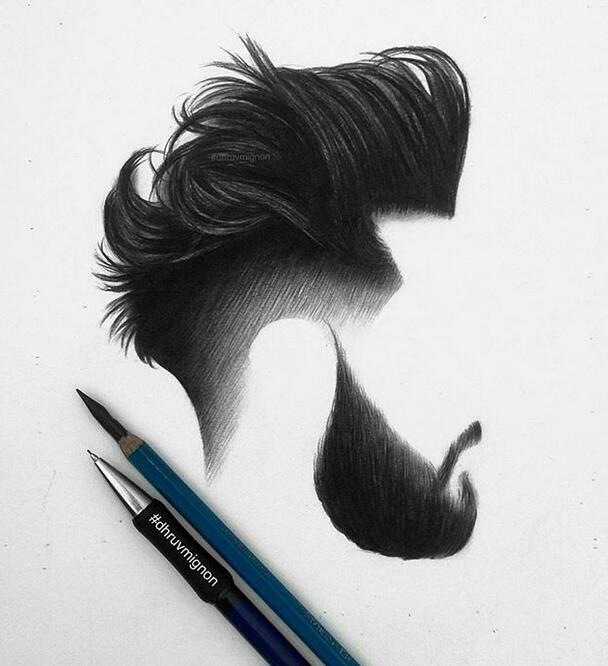 This will highlight the beard and top hair perfectly. Boost your “inside” cool guy using this polished, clean, and disconnected style. You can brush the hair upwards and hold it using your favorite product then you’re good to go. If you would like to look stylish and groomed at the same time, this is the cut for you. It is also one of the many variations I talked about earlier.